321413 and an unidentified classmate arrive at Kings Langley on 28 October 1995 with the 08:31 Milton Keynes Central to Euston service. 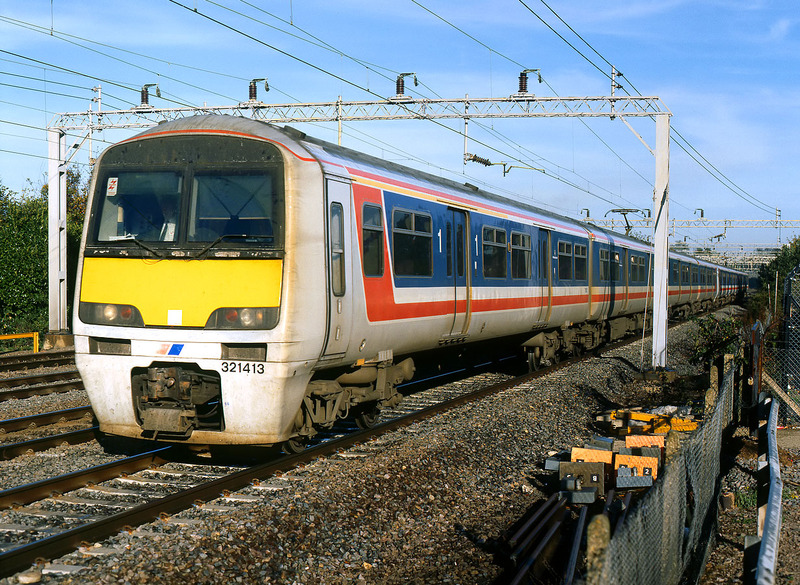 This was in the very early privatisation era, after the end of Network SouthEast, but before the new franchises were fully in place. The external condition of the train seems to reflect this!